Hi everyone! I have been following a thread started a while ago about an awesome mod that is super simple and gives new life to the LGA775 platform. The original thread has become cluttered and the original poster hasn't updated his posts so I figured I would put together all of the findings into one thread to help any one interested. If you are interested in this mod, this is the place to find all the information you need about it! This mod is for LGA775 motherboards only! It allows the use of LGA771 Xeon CPU's that are very affordable and powerful in many LGA775 motherboards with a few small modifications to the motherboard and CPU. Many people simply do not have the money to dump their old rig and buy a new one. The LGA775 platform has began to show its age in recent games and programs with most consumer processors. LGA771 Xeon processors are very affordable and blow most consumer level LGA775 cpu's out of the water. 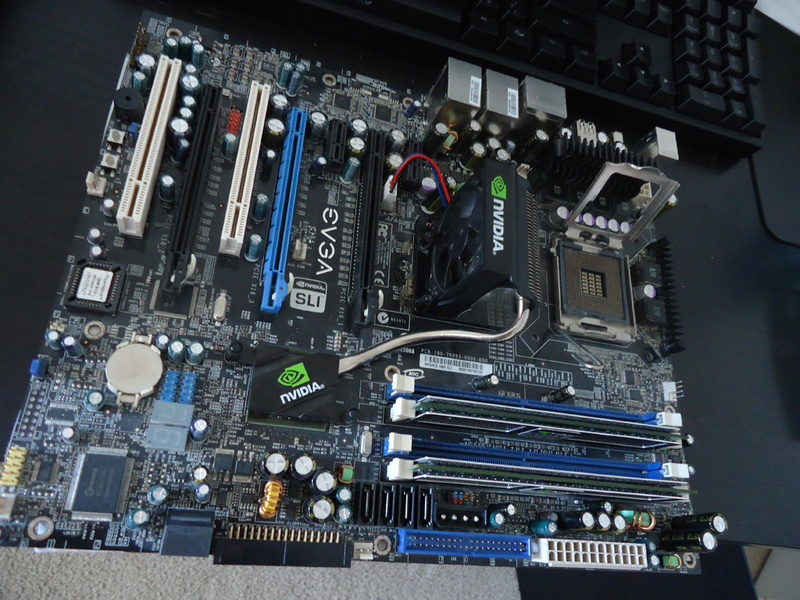 For example, a Xeon X5460 can be had for around $40. For $40 you can get a quad core CPU with 12mb of cache that runs at 3.16GHz stock. You also must remember that these CPU's were meant for servers, which means they are binned higher than the consumer level or even the extreme edition LGA775 CPU's. This usually equates to better overclocks and lower operating temperatures. Choosing the right motherboard for this mod is extremely important. Some boards need a simple microcode update while others will not post with the Xeon CPU's at all. I will attempt to create the most complete compatibility chart I can, but also take a look at post #3 and see if your board is listed. If you are running a motherboard with the X38, X48, Q35, or Q45 chipset there is a high chance it may not be compatible with this mod! Before you modify your motherboard, update your bios to the latest version if you haven't already. Disclaimer: I am not responsible for any damage you may do to your motherboard or CPU while performing this mod! Once you do that you are done with half the mod! Now make sure when placing the CPU into the socket you line up the triangle on the CPU and the triangle on the socket! You did it! Now put your system back together and get to overclocking! If you made it this far, you either completed the mod or have read through the thread and are still unsure about it. If you have completed the mod, make a post sharing your success, it will help get others to try the mod for themselves. If you still aren't unsure about it, have a look at some of the others who have done completed the mod. Well the evga 780i seems to play nice with the E5440. I oc'ed it to 4.0ghz, but my vdroop was pretty bad. Didn't crash, but ibt faild after 2-3 tests. So stuck it at 3.2 for 1:1 fsb:ram. The crasiest part is the temps. I let this go for about an hour and nothing hits over 55*c (even at 4.0ghz). I thought maybe it realtemp was misreading the sensor, but I felt the exhaust and it wasn't particularly over-wam. My q6700 was hotter under load stock. Didn't realize I was using old bios too, off to flash em. bumped it up to 3.4ghz, somehow I had the multi at 8 instead of 8.5. There is only one problem since my E5430 is a E0 stepping it has disabled sse 4.1 etc. Awesome news i fortunately got lucky and my X5460 posted right away with bios P32 on my Evga 680i , I'm going to install it on my 780i since it overclocks better. I wasnt expecting it to work though on the 680i since it didnt officially support 45nm Yorkfield quad cores. Going to start testing overclocks with it next to see how high it can go, i wonder if it will overclock as nice as the Q6600s. Edit: alright just got it up and running on my XFX 780i also, running bios P09. So ladies and gents, if anyone here needs a BIOS modded to support Xeons or other 775 CPU's let me know and I can do it. They are somewhat like the ones OP had, but they do not need to be cut and have adhesive pre applied. Peel the adhesive, mod the socket, and drop it in. Bam, quad core awesomeness! Booted up no problem on my Foxconn G31 board. Its running a bit warm, but I will pick up a new heatsink sometime soon and hopefully overclock it a bit. Here is a guide how to obtain the microcodes from the Intel website. BTW, there broken link to the microdecode tool, so i have to attached it. Create a blank file "ncpucode.bin"
Now flash modified BIOS image and you're done! Browse for the cpucode (*.bin) files and insert it one by one. Flash it and you're done! A slightly easier compared to the Award way, don't you think? Am i correct to assume that both links for the pin mod stickers come with pre applied adhesive? I ordered the stickers from the first link. I can confirm the ones from the first link do have adhesive. Good to know because i almost ordered the stickers from the second link since they were cheaper. This may be the cheapest mod ever. $32 for a x5460 and $19 for pin stickers how does one argue with that? Does anyone know if it is safe to clean the bottom side of a processor with alcohol? For whatever reason my Xeon came with TIM caked on the bottom of one corner. I dont see why you shouldnt be able to do this without any consequences but i thought id make sure first. What an awesome find to be able to use 771 cpu's in 775 sockets...hats off to the one that put it out there for us. Anyway, I picked up a few of those adapters from alibaba(thanks OP) and got myself a E5440 to try in a Lenovo M58 SFF. 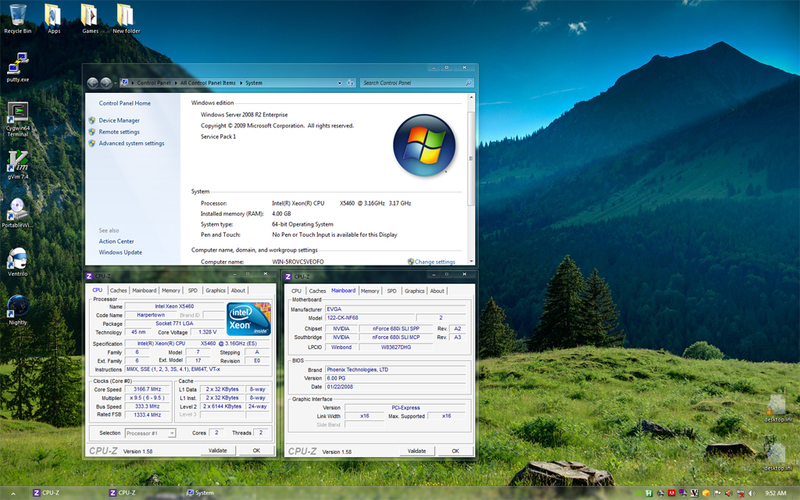 First off I tried the patched E5440 in a Zotac GF9300 ITX and it booted and ran windows perfectly. So then I tried the Lenovo and it wouldn't post, even with the latest bios. I have zero bios modding knowledge and was wondering if someone can mod it for me? I might be able to mod it for you, is the BIOS file a .bin? If it is I can add the microcodes and it should work.